Migrating from other bug tracking applications is simple. Zoho BugTracker lets you import bugs in CSV, XLS, XLSX format. Navigate to a project and select Bugs. Click in the upper-right corner and select Import Bugs. Click Choose File to select a file, then click Continue. 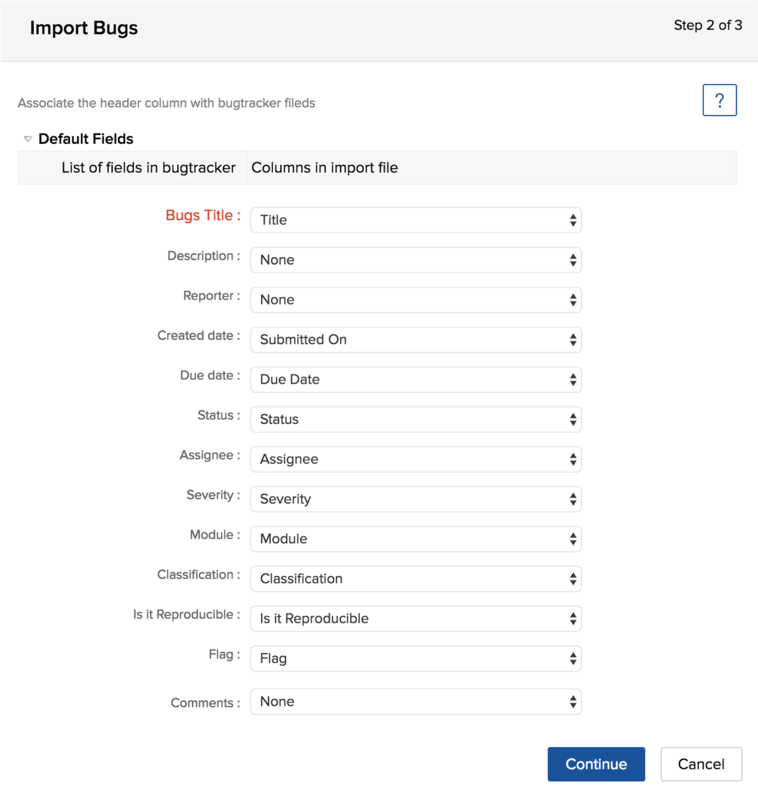 Map the BugTracker fields with the headings in the file, select the date format, then click Continue. Verify the details and click Import.